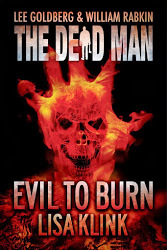 Lisa Klink returns to the Dead Man fold with Evil to Burn. With this latest addition to the Dead Man series, she becomes one of the lucky few writers to have authored a secondbook in the series. While following the trail of the spectral Mr. Dark, Matt Cahill, with his ax of justice, finds himself in a bus headed for a new vacation lodge in Nevada. Matt notices the bus driver is full of the corruption of evil, but is unable to stop it from going over a cliff. 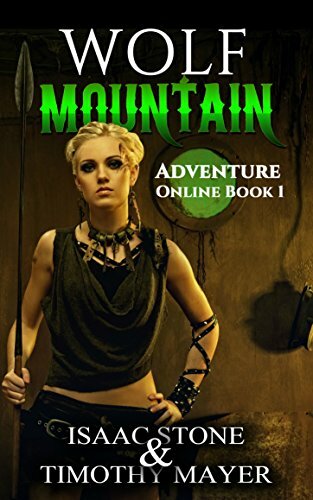 He’s trapped in a canyon with the surviving passengers, some of whom are cursed. Matt begins healing rapidly, but he still needs to stop Mr. Dark’s latest scheme. The real action starts up when Matt reaches his final destination. Klink has him fighting some kind of fire demon with the ax. It’s a creative progression in the series. There’s also mention of the sacrificial altar from Mesa of Death. It will be interesting to see what Klink can do with the character of Matt Cahill in the future.